Trees are an important part of any garden landscaping. Recognizing and understanding the most common disease and environmental problems that affect trees in our area can help you assess and maintain the health of your trees. 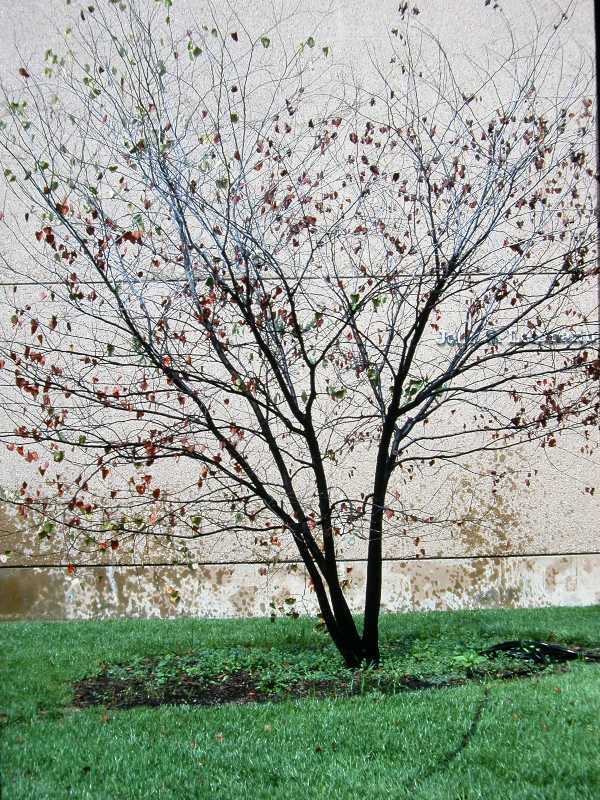 Following are the most common tree problems the Plant Doctors at the Kemper Center for Home Gardening see each year. Recognizing serious problems from just “cosmetic” problems is important. Leaf spots are common fungal problems. Few ever rise to a level of real concern. Generally, the tree still has lots of healthy leaf surface for photosynthesis. Most are just cosmetic and do not require treatment. The later in the season that leaf spots develop the less need for alarm. 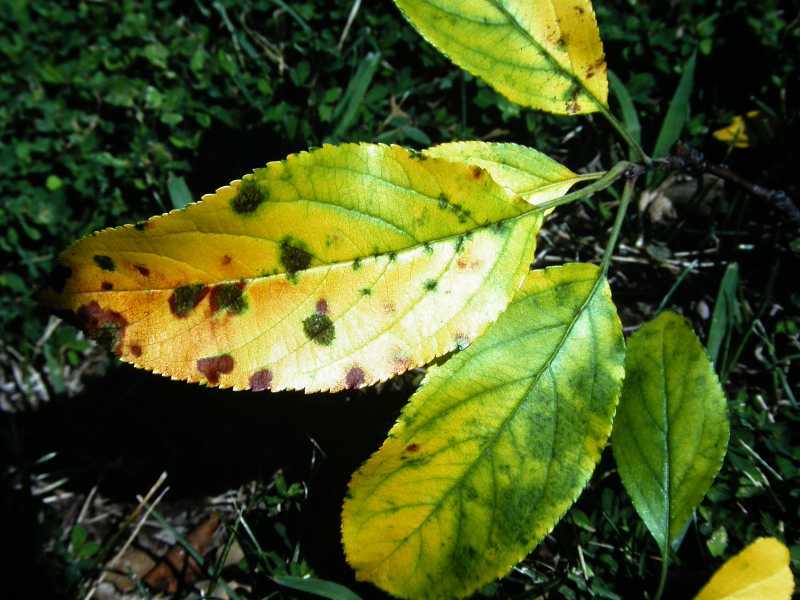 Anthracnose is a fungal disease that on most trees only attacks the leaves. An exception is on sycamore where it can also result in twig dieback. Sycamore anthracnose occurs early in the year and can result in severe defoliation but trees releaf without serious harm. Over time, however, dead twigs and reduced tree vigor can occur. 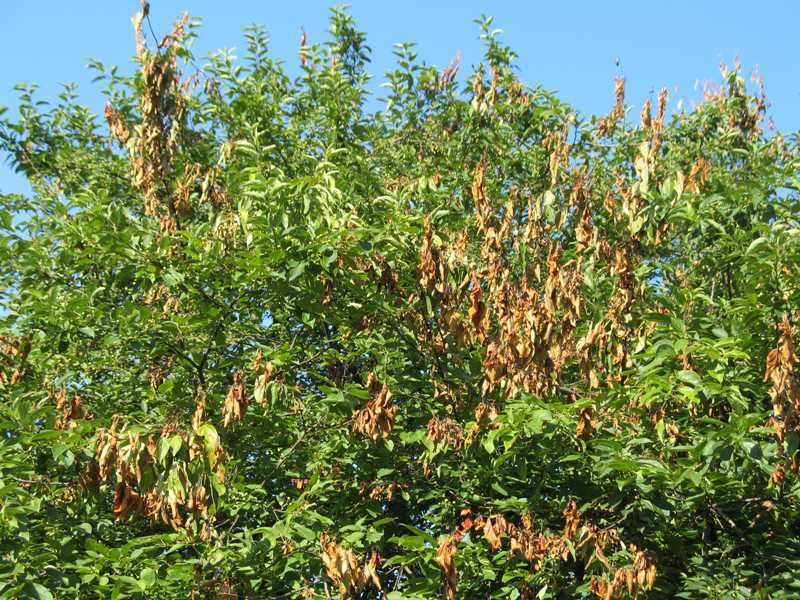 Most tree owners live with leaf spots and anthracnose as chemical controls are costly and not without environmental risks. 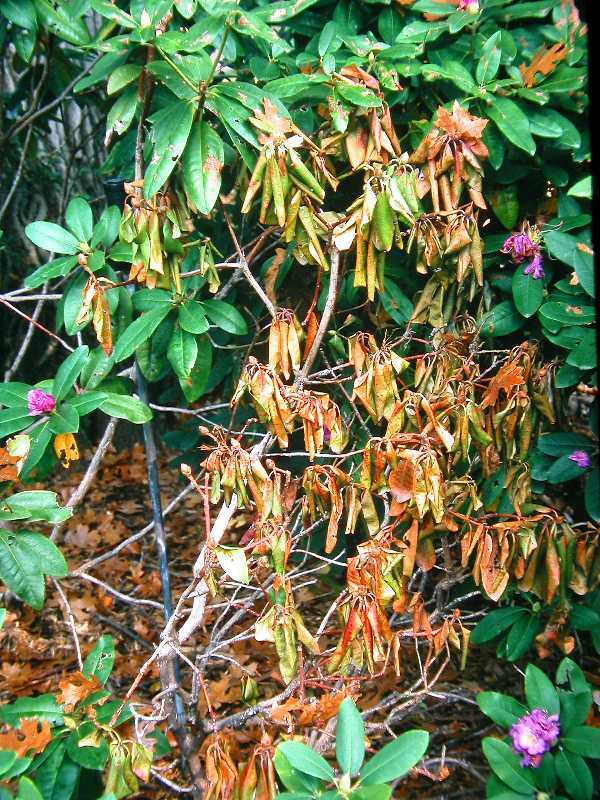 Fireblight is a serious disease of apples, crabapples, pears, and other plants in the rose family. Left uncontrolled it can quickly kill a tree. Early detection and proper timing of pruning can save an infected tree. Cedar-apple, cedar-hawthorn, and cedar-quince rusts are closely related diseases of apples, crabapples, hawthorns and junipers in our area. 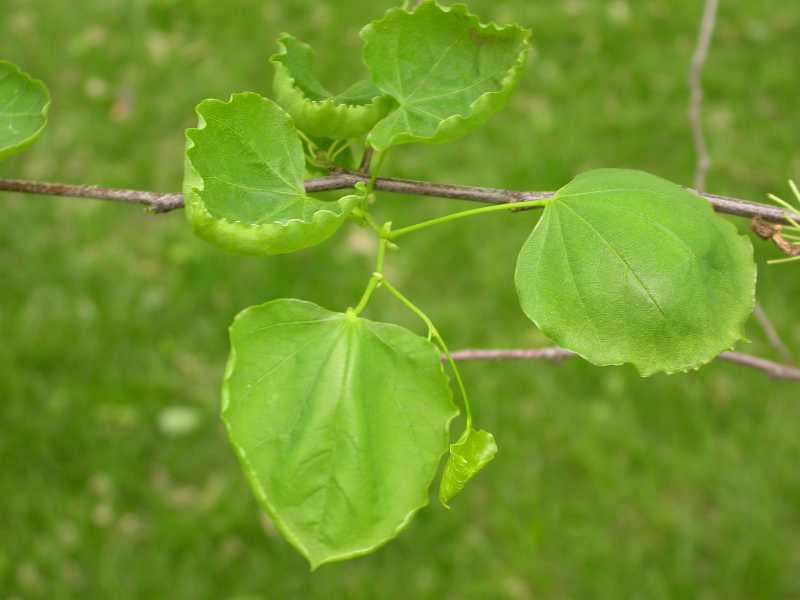 Of these, cedar-quince is the most devastating as it infects the twigs of the trees, which results in dieback. 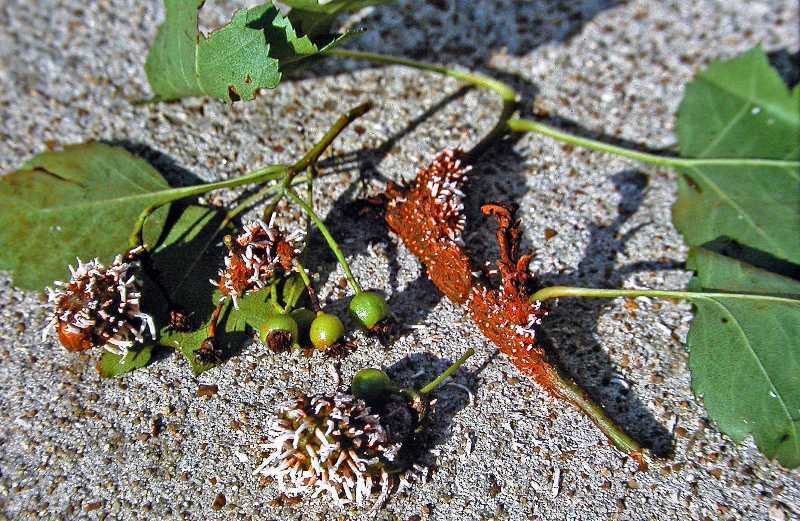 Cedar-apple and cedar-hawthorn rusts are leafspot diseases and are less of a problem to the health of the tree. 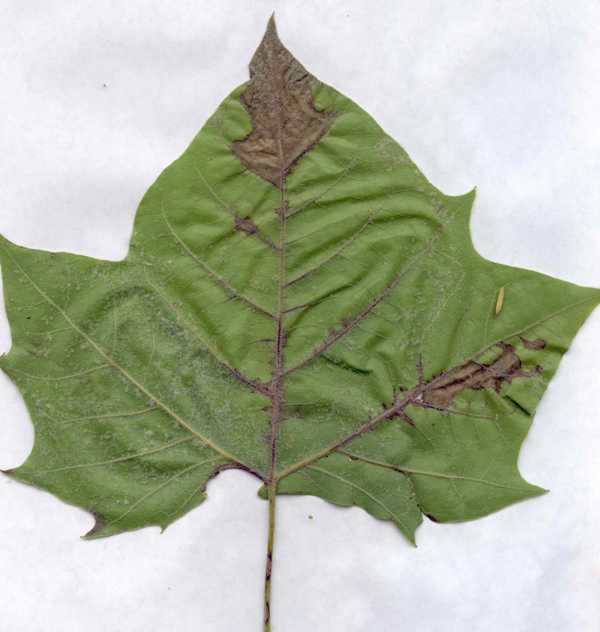 Apple scab is a fungal leaf spot disease that results in apple trees dropping leaves (defoliating) by late summer. Although the tree loses some of its visual appeal, trees generally flower well each year. Apple scab can blemish apples grown for fruit and can reduce yield if not controlled. One of the most common “diseases” we see is scorch, which occurs when the roots of a tree are not able to supply water faster than it is being transpired by the leaves. Browning around the edges of the leaves is the result. Trees, such as Japanese maples or dogwoods that prefer light shade are most susceptible. Keep plants well watered during periods of drought. Root rots can result in sudden death of a tree or its slow decline. They are hard to verify as the disease is below ground. Even after firsthand examination by a professional, diagnosis of a root rot may be difficult. Anything that stresses a tree could result in its being more susceptible to a root rot. So keep your trees healthy! There is no cure for root rot. Maintaining plant vigor may help it wall off the rot for a while. Often, gardeners like to grow trees that aren’t well adapted to local conditions and in soils that have poor drainage or are droughty. These factors lead to poor root and plant development and result in plants being more susceptible to insects and diseases. Before planting a tree, make sure it is adapted to your location and situation. Provide adequate water during dry periods. Doing so will give your tree a fighting chance in less than ideal growing conditions. We frequently see cupped and strapped leaves at our Plant Doctor desk. If insects are not found and cold weather injury has been eliminated as a cause the next likely culprit is damage from herbicides. Damage can result from drift as well as herbicides which have been applied to the soil and watered in such as many lawn weed-and-feed products. 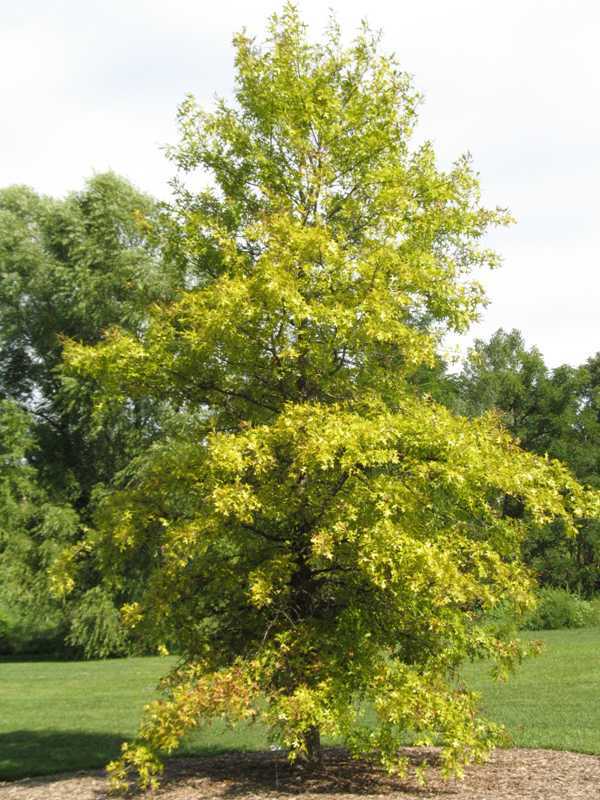 Certain trees, such as pin oak, react to highly alkaline soils, which are common in our area, by developing iron chlorosis. In alkaline soil the tree is unable to take up enough iron. 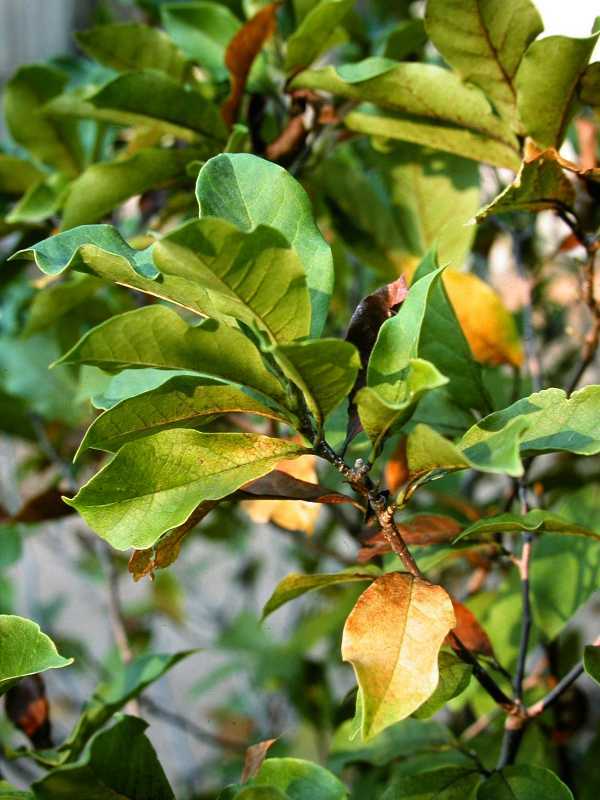 Leaves turn yellow with the veins remaining green. Severity can vary from year to year as other conditions change. Correcting the problem is not easy or simple and may require an arborist to treat severely affected trees. 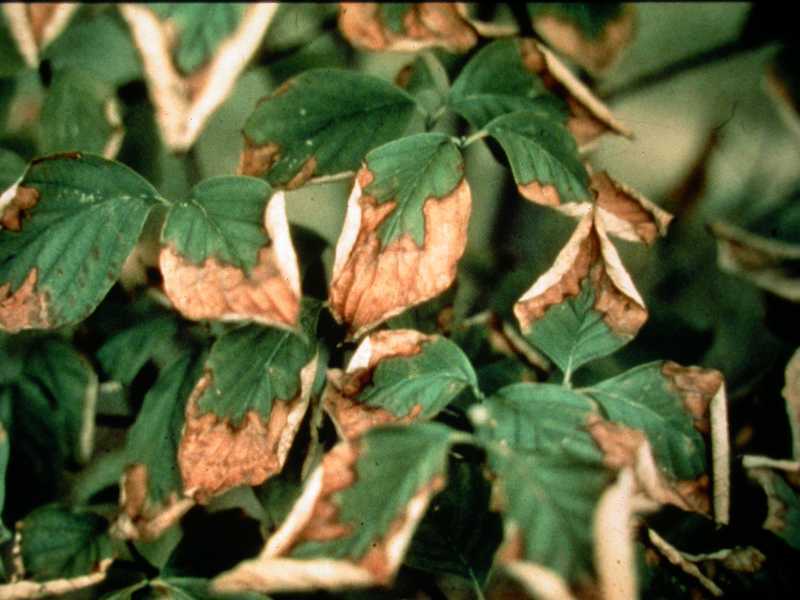 Wilt diseases can kill a tree in a matter of weeks or over several years depending upon the specific disease, upon what part of the tree is affected first, and upon the overall health of the tree. When an entire tree or just part of a tree wilts, close examination is warranted to determine the cause. Since wilt diseases infect tissue inside the tree or in the roots, making a positive identification can be difficult. Seeking help from a tree care specialist may be necessary. Trees infected with a wilt disease seldom recover. Don’t confuse wilting due to insufficient watering with wilt diseases. The former can be corrected by watering.